Florida, “The Sunshine State”. “Barefoot vacation” stop. Lines of palms greeting all along the way from the airport. What is your reason to visit Florida, they seem to ask tired faces looking through the windows. It`s been a long flight, over an ocean or maybe a whole continent. All the tourists that come to Florida are here for one main reason: the parks. Either entertaining or nature ones. So, which one gets vote this time? Oh, pleease, nature parks of course, say the state park supporters. But in any case, who wouldn’t like to get a hug from Mickey? 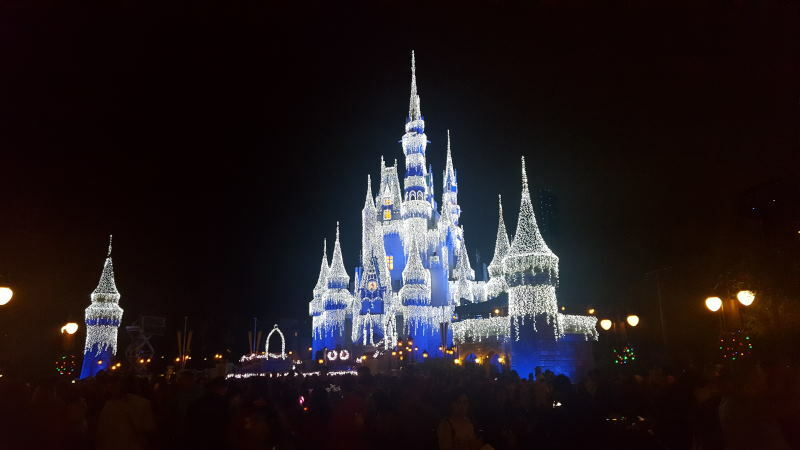 Disney’s Magic Kingdom is a fairytale escape for small princes and princesses and their tired/patients care-takers. The fun alreadty begins in the early morning at the station where mini buses will come and pick up the crowd to take them to the parks…after they see pretty much of all the rest of the suburb, as they need to stop in front of every single hotel to pick up the mass. One might begin to wonder whether it was worth it to have that 5 o`clock alarm on. By some magic probably, many do find themselves at the destination before noon and manage to take their pre-booked rides. Riding in the old train through and around the whole Magic Kingdom, bathed in January sun, is in contrast to high-tech indoor activities of all sorts and in all colours. The day goes fast at this site of never-ending excitement and finishes with the world-famous fireworks above the Cinderella’s castle! Yes, exactly like the one from the Disney movies` intro. And that is not the only one – already the evening before, pink and yellow dust from firework star explosion could be seen from the areas of the city further away from Disneyland. 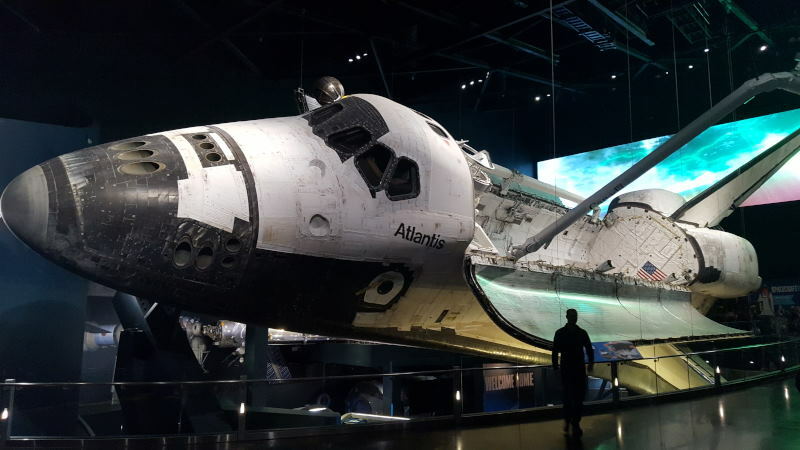 When in surroundins of Orlando, it does not take a long time to reach exciting Space Coast and Kennedy Space Center, NASA`s space launch site and unique museum for all the lovers of space exploration. Big and small (specially those with serious aspiration of becoming astronauts) come here to see the (real!) Atlantis space shuttle and hear its story on numerous space missions it had experienced, and to see the “scars” (or the proof) left on its “skin” from entering and exiting the atmosphere . Oh there is so much to try at the “KSC”: simulation of a shuttle flight, touching a stone collected on the Moon, breaking sound barrier by pressing the mysterious button, buying a meteorite for 10 000 dollars, enjoying awesome 3D movie box with a short film on space shuttle explorations, but also meeting one of the astronauts and having dinner with them. 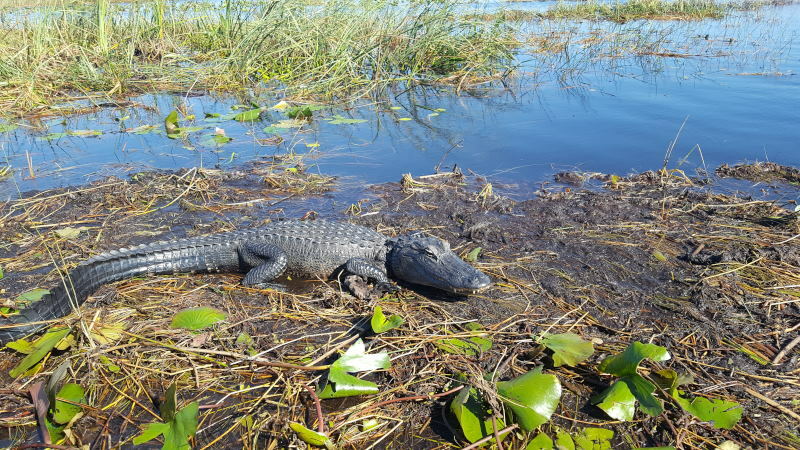 Like so many roads in Florida, the area around the center is guarded by fence – to fence off wild life (read: alligators). It is a wildlife refuge, and tourists are allowed only to look around by sitting safely in a tourist buses. It is a very unique, interesting place: next to the long and huge path along which the rockets to be launched and transported to the launching sites (slowly, for days) are these places where an alligator or two might simply pop up and ask for a sandwich! And not only that: there is an optical illusion for those sitting tightly in the bus. Buildings of the complex are so huge, that even in far away distance they look like normal size buildings, until the driver explains that only the door of the building, “137 meters tall – the biggest door in the world, ladies and gentlemen, boys and girls”, could be measured by the very buses they sit in. It really does not get too long to get used to fences, wet ground and a warning or two here and there. It feels quite exotic for someone coming from, say, northern Europe. But that is yet nothing; soon on a scenic route between Melbourne Village and Delray Beach, a beautiful stretch known as A1A Coastal Highway, the sun is breaking through the clouds, its rays make it look like an enormous ball in the sky, and – what is rest, is pure (en)joy(ment). It shines and shines, in the middle of winter, and people walk in shorts and T-shirts, eating icecream, or sunbathing at the beach, or “adopting a highway”, and it is recommended to “get lost”, get off the highway, because what you can find riding on the neighbouring small roads is a sunshine state paradise. (Not a single word of exaggeration here.) Green frontyards, cozy family houses, dolphine-shaped mailboxes and everything bathing in the tons of sunlights…it feels like being in a movie or reading one of those summer-inspired Camus` novels. Amazing. Oh, and yes, to remind everywhere that it is actually Christmas and New Year season, in front of some of those sun-bathing houses, on them green frontyards, there is even a Santa, sitting in his carriage, on some pile of artificial snow and a blow-up Snowman- if you focus on it, really focus, you might even feel cold a bit. 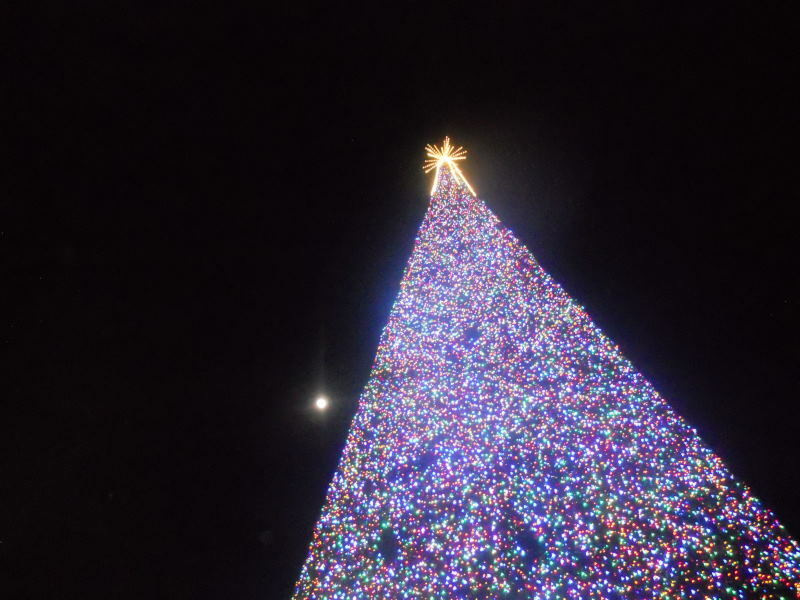 And in the evening in the center of Delray Beach there is this HUGE 100- foot Christmas tree, that replaced the regular one thought to be unsafe. This one, made of meal and steel, turns out to have a door and leads you in to see some arts and crafts and enjoy the Christmas spirit inside the tree. Quite creative. Christmas inside the tree. Evening skies is landling slowly over downtown Delray Beach. While some people are pushing sun chairs, towels, sandals, balls, dog and kids back in the car and driving back home after spending the day at the beach (have to write it again: winter/Christmas/New Year holiday + beach/sunbathing/bare feet/surfing), some are lined up in the very, very popular icecream shop and it takes some time to finally decide which scoops to choose. Eating icecream while strolling down the long street full of Christmas palms(!) and then having a drink at some of the local bars is a nice way to end the day. It is smart to have a good, Florida-style, laid back rest before heading for the big city – the scenic route leads the travellers in its style through alleys in sunshine and then some along the coast and after a while first signs of Miami are showing themselves: skyline shaped by building giants a almost a sudden situation of cars everywhere and somewhat crazy driving. There are many crossroads with 20 stoplights all hanging in the air, facing different directions. (This is actually typical for most of the bigger motorway crossroads in Florida and probably in all other states as well). Welcome to Miami! People everywhere, scarcely dressed but often with style; different music coming from both cars and shops, big hotel towers welcoming busses of new tourist batches and crossing white bridges and looking at all the white in Miami harbour just feels like…forever summer. In the neighbouring Miami Beach, it feels like all the limelight is taken by beach, exotic tiki bars and giant cocktails, that need to be held with both hands and are as big as a bowl of soup. Beach is long, spacious and crowded. People look fancy and this is a bit of different face of Florida. Miami Beach is a nice place for party-goers. While sunbathing or swimming people can see a small plane circling above their head with a commercial on a tonight`s DJ show or concert printed on a flying stripe. 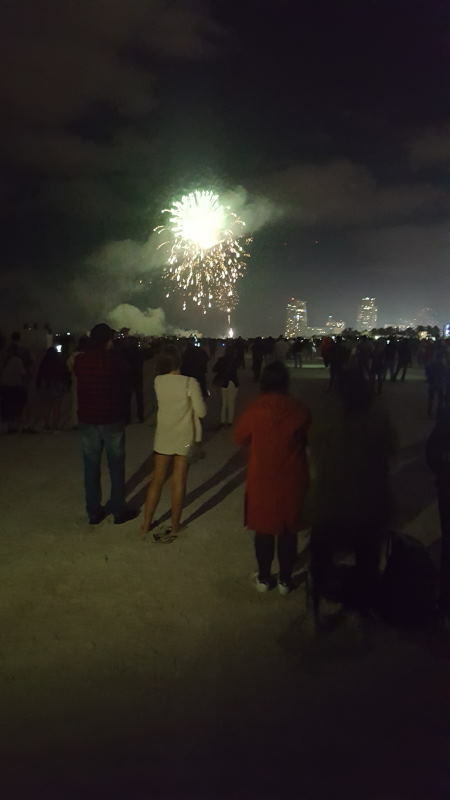 Those that find themselves here on New Year`s Eve, can enjoy long fireworks at the beach while digging their feet in the sand, holiday lights on the trees alongside the beach promenade and after-midnight dancing in the middle of the walking street. Miami, today Florida second biggest city (after Jacksonville), was a wild swamp area until late 19th century. Today this city is hard to compare to the old photos, being an art metropola and much more. 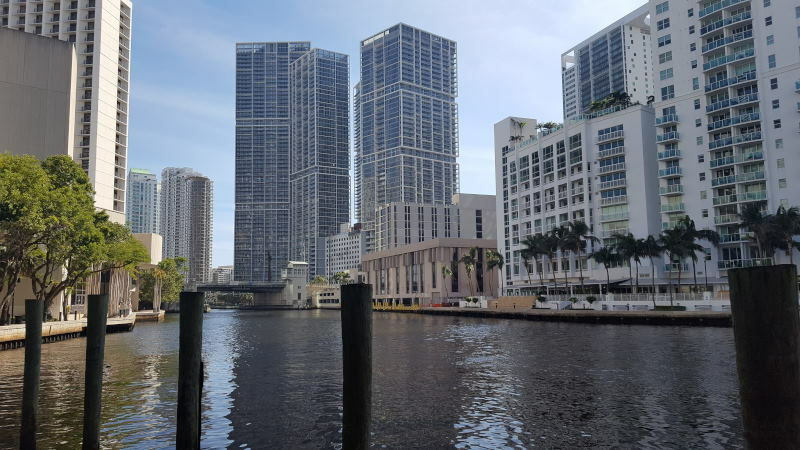 People worked hard and fought for the area and finally the city`s “mother” Julia Tuttle initiated building of the railroad and, eventually, the city on Miami river. Nowadays, Miami has an automated train The Metromover that circles around the downtown on a high lane level and all the people, thirsty for different kinds of art, can use it as a transportation to numerous museums this engaging place has to offer. While walking in a broad, green city park people often end up with coconuts in front of their feet – there are many that have fallen off the park`s palm trees. (Did you know that palms are in the grass family and not related to trees? Amazing what people can learn every day!) The walk can go on along the city water canal, all the way to the pier and harbour full of boats of different sizes. Here, thrill seekers are lined up on the pier waiting to experience one of the popular speed boat tours, with their entertaining drivers and guides with big megaphones, shouting phrases such us “awesome!”, “come on!”, “let me hear you say!”, “I didn`t hear that!” and so on…In the neighbouring museum there is an open air exhibition on the importance and value of H2O, as well as the latest updates on climate change. People can really learn a lot in Miami. In Miami education is behind every corner, it seems. 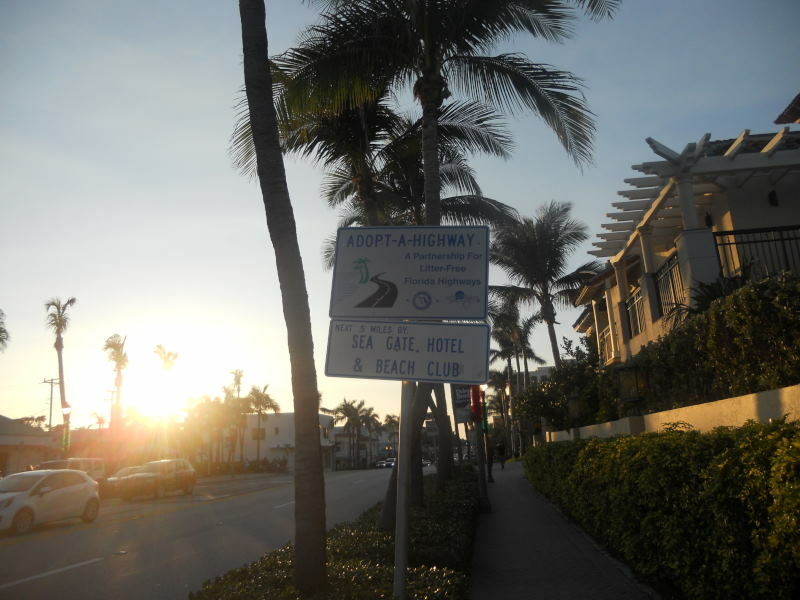 Back on the scenic route, Overseas Highway, carrying U.S. Route 1 is heading towards south, all the way to tropical, exotic Florida Keys, where “no jacket is required”. People from around here remind visitors (with good reason!) about “Changes of Latitudes, Changes of Attitudes” to prepare them for the Key people`s relaxed way of living. The islands, like pearl beads, are connected by 42 bridges and form a gentle south-west curve, dividing the Atlantic Ocean and Gulf of Mexico. On the road, on the way to «The Keys», the more south drivers move, the narrower the land gets and the ocean blue rules the area. There are bridges here, many bridges connecting over 100 islands. 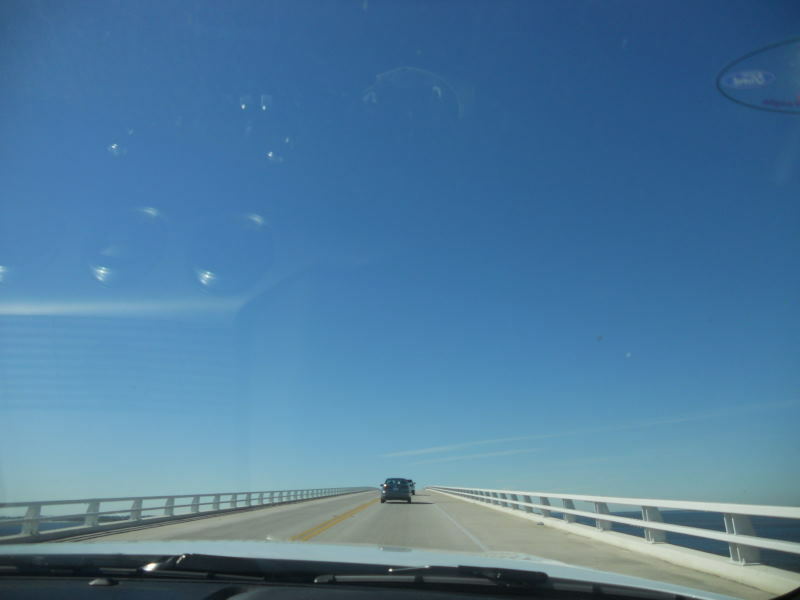 When crossing over the famous Seven Mile Bridge, there is a view of the old bridge from the beginning of 20th century – once in full traffic, it had a swing span, moving to allow ships to pass. Since a couple of years ago, it has a hole in the middle where the span once was and is visited by fishermen and cyclists. 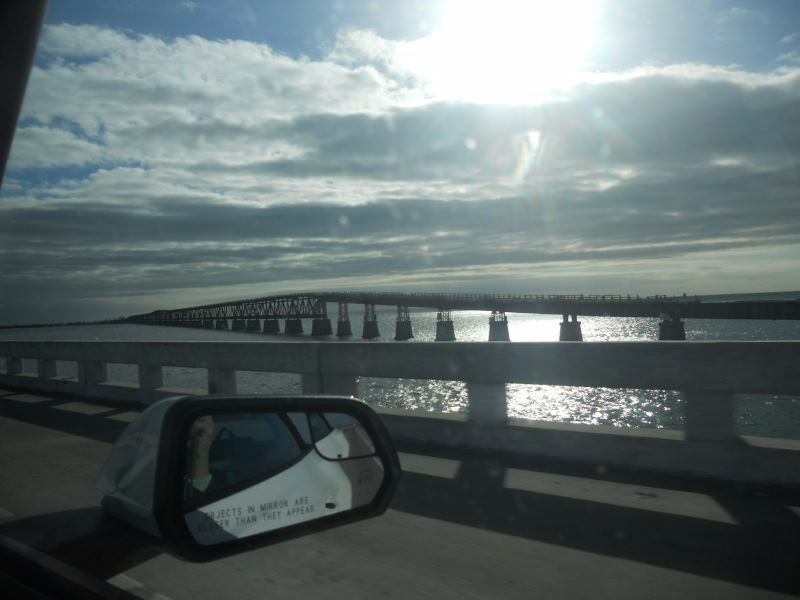 Back on the “new” bridge, the road soon takes travelers to the exotic and artist beloved Key West. This island city was once Florida`s largest and richest, thanks to its production and trade of cigars and sponges. It even enjoyed historically short independence as The Conch Republic and yes, if you happen not to know what exactly CONCH is (like, know in details and per definition, sizes,colours and everything) -no worries! Key West jewellery, art and craft, souvenir shops are all inspired by conch shells. Again, education on conch is behind every corner of Key West! Most of the art galleries and activities are focused around the special Duval Street, quite short one considering it goes from the Gulf of Mexico to the Atlantic Ocean (talking about getting from point A to point B!) Key West still keeps the atmosphere of the previous times: vintage parking meters in the streets, and the old «conch train» city tours take visitors to another time dimension and let them explore the spirit of the old Florida; it is nice for many that can get there today and before could not, to feel how it used to feel, back in Hemingway time, to stroll down the cosy alleys, have a beer at the local pub with live music or write some five words mini-story at the wooden table in a local restaurant, maybe one of those serving the Keys “Pink Gold” (shrimps) and (“world-famous”) Key Lime Pie (“the taste of the Keys”). And further south (yes, there is more south one can go! 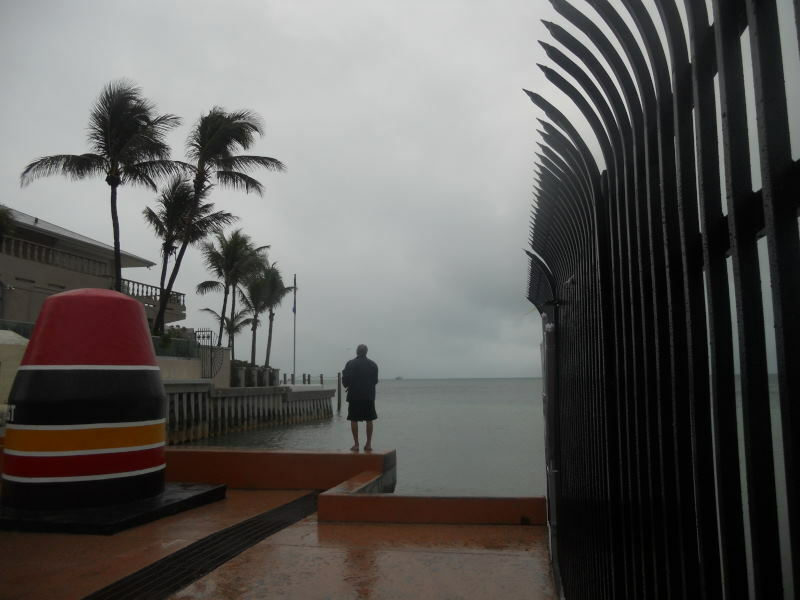 ), lines of tourists are formed along the road, all of them wanting to see the colourful Southermost Point Buoy, where the US continent stops and where old fishermen used to low conch shells and greet visitors to Key West. This place is actually closer to Cuba than to Miami. According to brochures, there is a belief that when facing west on a clear night, city lights of Havana can be seen in the sky! “One Human Family”, says one artwork painted on the cobblestones in the area, like it wants to remind everyone that “no man is an island”. And when mentioning famous quotes, “It is better to be lucky. But I would rather be exact . Then when luck comes, you are ready.” If you too are a big Hemingway fun, visit The Home . Believe the author of these lines, you will not regret it. The museum tells a lot about Ernest`s life, work and travel, and there is that room in the trees where he wrote novels and stories…real treat for those with iching (writing) fingers! And yes, there are them cats..like, hundreds of them. Unreal. (Every July there is a Hemingway Look-Alike contest in he famouse Sloppy Joe`s Bar. Grow a beard, get gray and sign up.) 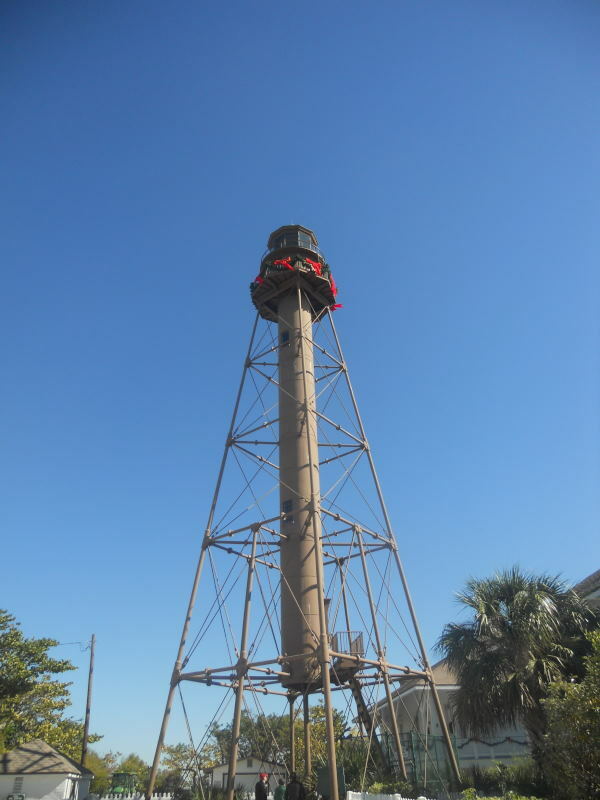 If staying longer in KW, there are many more museums to visit and learn more on art, history, ecology, maritime and boat industry and there are also special local sites, such as Key West Lighthouse Museum and The Harry S Truman Little White House. 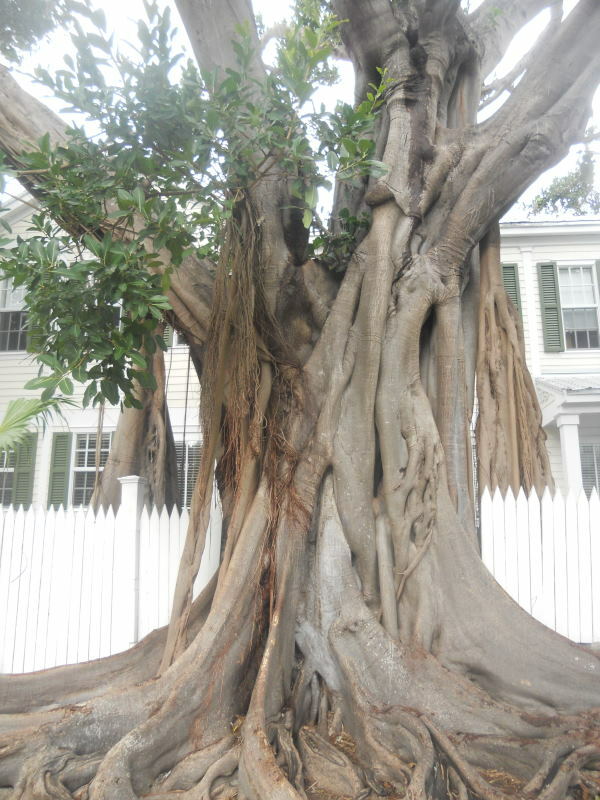 Leaving beautiful, relaxed, dreamlike Key West…not easy. Sunrays falling down on emerald green water surface. Scorching sun hits the car windows and in case of roof down, here comes the wind, so it is necessary protect both eyes, ears and hair(style), of course. The radio hosts reports on winter in Chicago and “single digit temperatures (over there)” and the only problem at the moment seems to be the possibility of meeting endagered key deer or Florida black bear on the road. Yes, although Florida for many is a party destination, this is obviously a wild state! Its flatlands and forests, lakes and oceans, wild and not so wild animals, have inspired names of roads and areas, so, driving further northwards, there are signs with names, such as: Riverbreeze, Crocodile Crossing, Lighthouse Cove, St. Cloud, Clearwater Beach, Citrus Roa, Breeze Point Road, Frostproof (“the friendly city”), Lake and Sun Road, Coconut Road and so on. 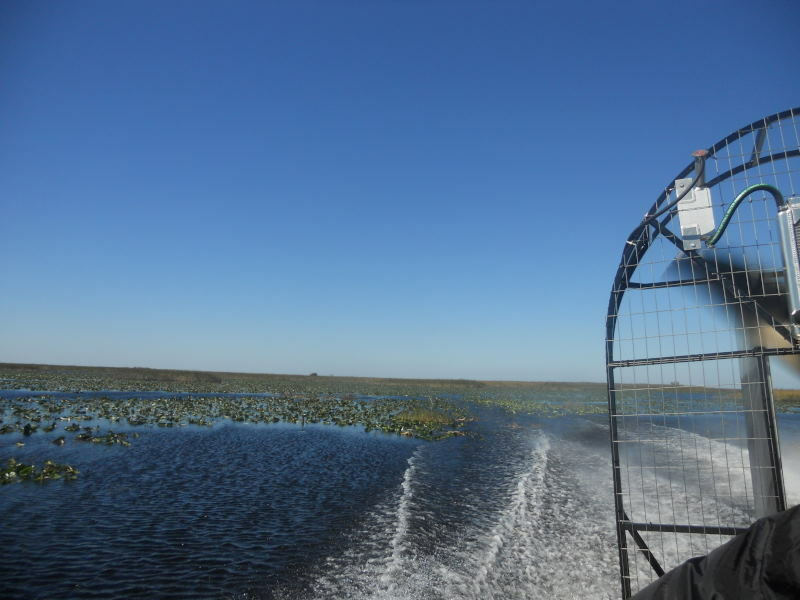 Southern and south-western Florida is occupied by the green Everglades: home to the native Indian tribes, Seminole and Miccosukee. When driving, the GPS screen turns completely green and green plains and fields replace the ocean and bridges. Yet, soon a river will join parallel with road. It is mostly quiet here and the surface of the river, reflecting dark-blue colous is untouched, covered with floating lotuses and other fauna on its edges, Sometimes, however, it is possible to see a fishing boat in the middle of river and the people onboard, patiently waiting for the fish to bite. In that case, there is a long, white beach in neighbouring Naples and walking along it might retrieve normal sound environment for the “adventurous” earlobes. 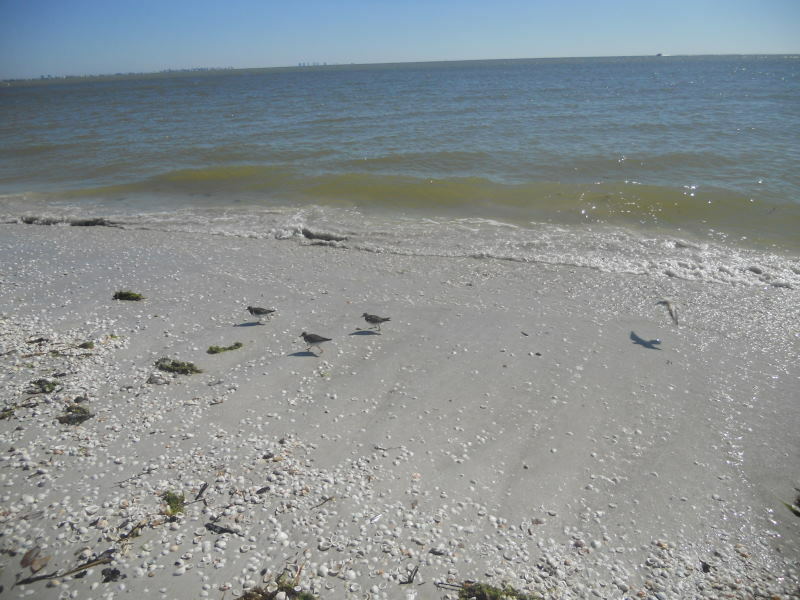 Not far away from this beach, the road stretches straight and swings gently to the left and takes drivers to crescent-shaped Sanibel Island and its famous Lighthouse Beach Park. This is one of those places where the wooden stairs take feet through a dense hammock forest and finally open themselves to a long beach, where both tourists and locals are carrying plastic bags and collecting seashells of all possible sizes and colours. Not too far from Sanibel, the motorway turns into white fenced bridge, surrounded by the sea blue with no end, only to turn into a road again, arriving to charming Ft Meyers Beach. This place is perfect to rent a bike in! Wherever in Fr. Meyers, cycling is a pure pleasure! As the sun slowly starts setting down and the dusk takes over, the wheels spin and spin on the nice path next to the road, and many people that came to camp here greet each other, making the atmosphere of a real hippie community. And this is just a start. There is a bridge where cyclers need to push their bikes on pedestrian tracks on both sides of the road, unless they want to ride up and down long bridge. It s not that it takes to be fit and complete this (although it does), but traffic can be somewhat hectic. Better to push and stay safe! The view from the bridge thou, is so beautiful that one would be sorry for not stopping and enjoying it a bit; houses and boats turning inside lightning on, while the dusk still keeping that what is left of daylight and sending it all over the town and water. Once arriving to the beach-it is just to go on cycling! “Paint-me-yellow” sunset, flat and very low water surface, sand crumbs laying flat under bicycle wheels, people from a tiki bar cheering those choosing cycling over beer – at least until they also get thirsty this warm summer evening. Back on the road again and heading for Tampa – time for some unique cinema exeriences – both indoors and oudoors! 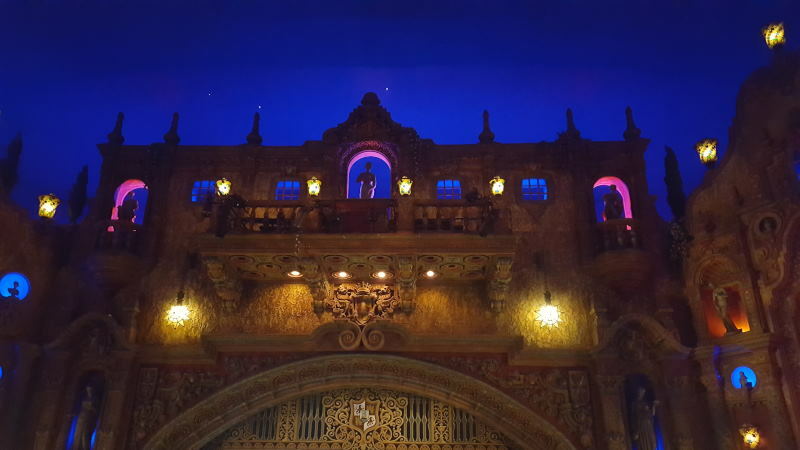 Tampa Theatre is for everyone who wants to experience fairytale by simply sitting in a theater/cinema seat. How else to describe thick carpets on the floor, dimmed lights, cupola ceiling with stars above? Movie palace, as they call it, feels like a planetarium at the same time. Really, really amazing. And then there is drive-in cinema experience (that is, a movie-watching “like in movies”). After purchasing tickets online, the only other preparation remains to be fast-food takeaway, snacks and drinks and car radio tuning in the screening channel – then let the show begin! As long as the window shields are clean and the radio sound is clear, the huge outside screen will soon make you forget that you and your fellows around actually sit outside, in a car! Fun to do (maybe not too often, in case fast food and snacks are included by default – healthy diet reminder). 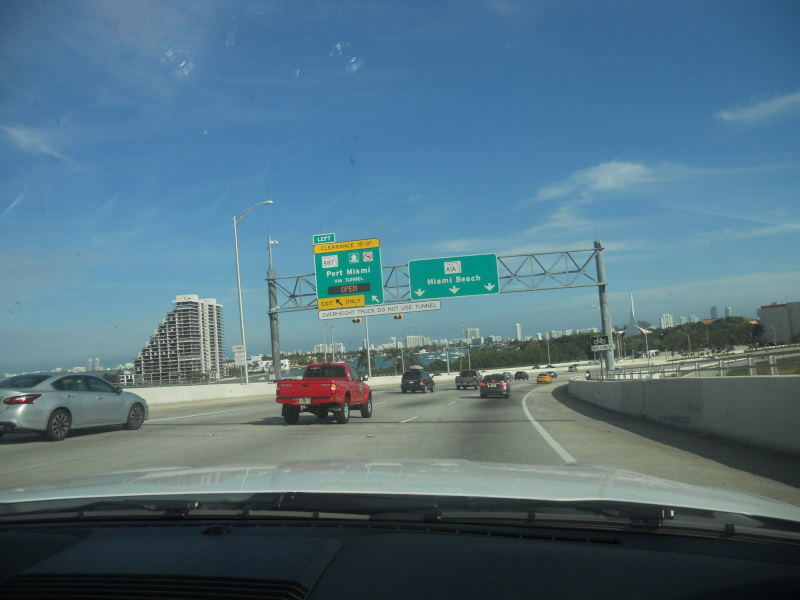 Tampa is a enormous city and is sure a good destination to visit for a few days, for people hat enjoy big city vacations. It is fun to sightsee and visit huge supermarkets with automatic shopping cart escalators (yes, you take your drive and your groceries as well, but in their own separate lane!). Many visitors to Florida specially look forward to the Sunshine Skyway Bridge, a magnificent white “giant” that slowly opens its two bows, as the vehicles drive by. It is easy to be tricked by its size while looking at it from a distance – there is a reason why it is visible from so far away. 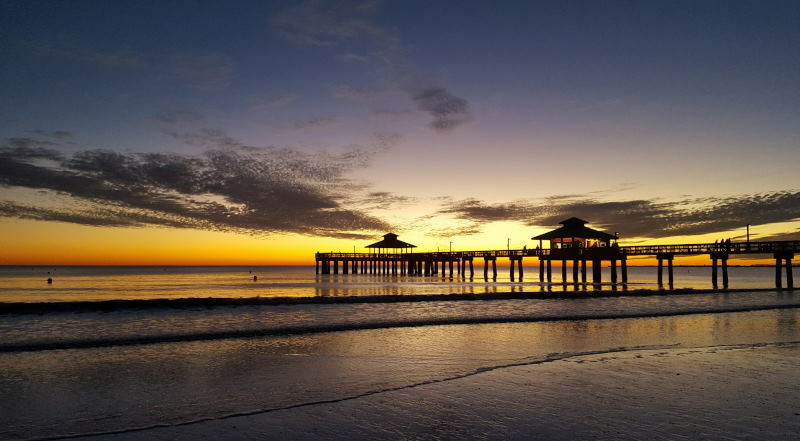 When having a few days in Tampa, there might be enough time to visit (Florida`s) St. Petersburg and its beautiful, huge Madeira Beach. Sunny coastal town, namesake of the famous Russian city, hosts international Sand Sculpture Contest and many come from all over the world to express their creativity. Across the state, passing evergreen forests and Florida`s chillier areas, the road ends up on the east coast again, in popular, cozy, historical St. Augustine. Home to local whiskey and beer breweries, but foremost famous for the old town district, going back to 16th century when it was founded by Spaniards. 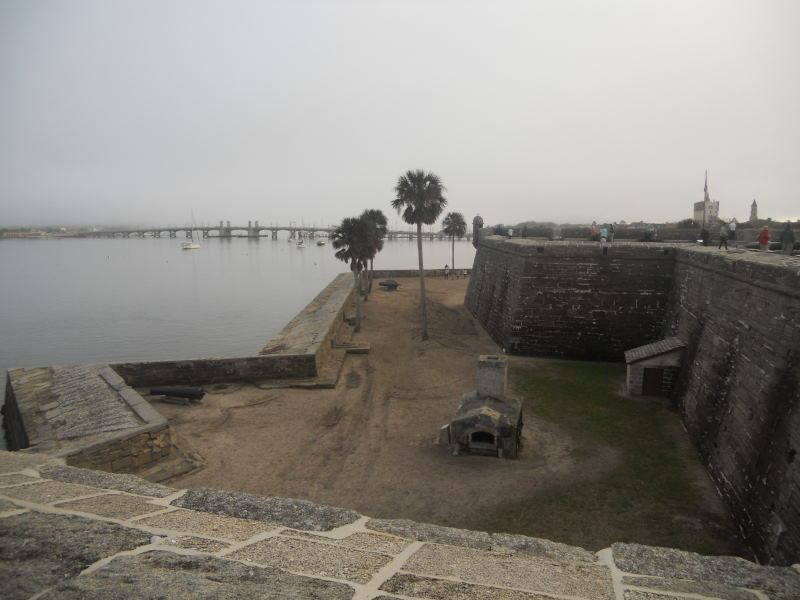 Old village inn, old wooden school house, cobblestones under feet take everyone back in time, when life was much more relaxing, slower… In walking distance there is The Castillo de San Marcos– the oldest fortress in the continental United States! So here would head all those wanting to visit “some castles as well”. And they will not regret it! The fortress provides a 360-degree view over the town and ocean and its rooms tell a story of 23- year-building process. The walls are made of made coquina stone (Spanish for “small shells”), has 4 bastions and NPS Ranger will tell visitors interesting anecdotes about people (including himself!) finding gold and silver along the local shore, that remained hidden in the sand after numerous shipwrecks. Many households in St. Augustine (as well as in Florida in general) have pets and often there are cats and dogs living in peace and democracy, savouring long sunny days and in this way expressing the laid-back attitude of their Floridian owners. This nice town is also home to the local homemade bourbon whiskey, rum and gin. 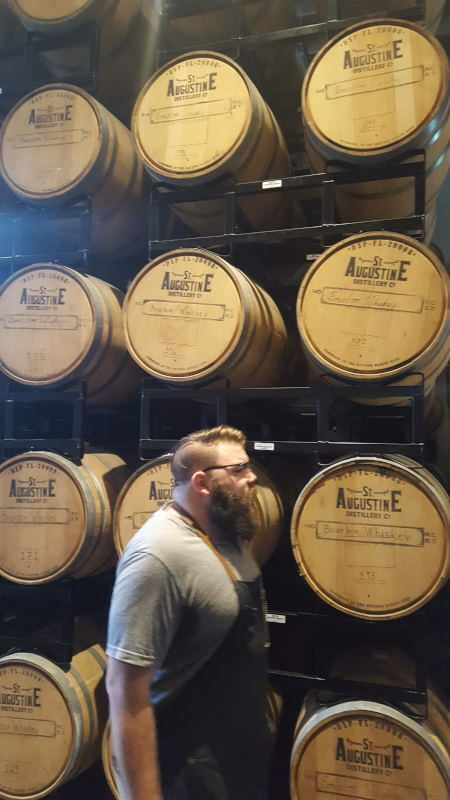 In St. Augustine Destillery there are great guides that will take visitors through the brewing processes and then serve them refreshing specials, like Florida Mule and Rum Tiki Cocktail. The destillery museum features story of the “Ice King” Frederic Tudor and the visitors can see old giant ice machine that used to produce the cubes, so necessary in cocktail glasses. People working there are very proud that everything in destillery is of local origin, including the sitting benches in the waiting room, that were donated by St. Augustine`s church long time ago. And for beer lovers, there is an awesome Bog Brewery . Ginger beer, spicy beer, light and dark, all wait to be tried and enjoyed at the bar, while chatting to friendly staff and locals on different topics. 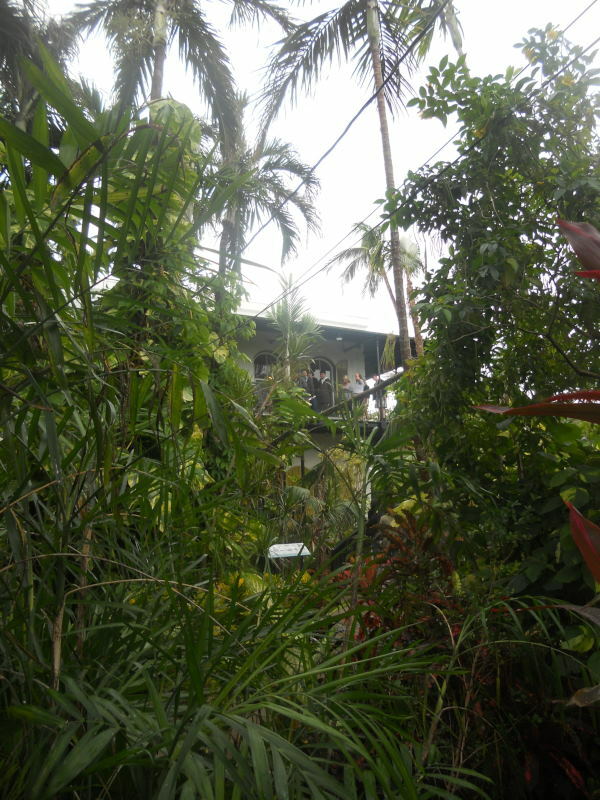 West of St. Augustine, in the town Palatka, it is possible to hide in peace and smells of tropical Ravine Gardens. The state park is full of wild green jungle growth and deep ravines whose sides are connected by hanging bridges. When the rain stops, the vegetation starts spreading strong scent and eyes can have a real, healthy nourishment of the Green. Excellent for mind and body. There is even an amphitheater and the only thing missing is a performance of some ancient Greek piece. If hungry after the walk in Ravines, there is also Florida`s Oldest Diner, in the neighbourhood, called Angel`s. Customers can order food from their cars and get it delivered to the car window, or sit inside the dining car and enjoy their burgers, beers and even hot chocolate in the 30ties-inspired interior. Further south, down the coast, lies famous Daytona Beach, where for decades motorsport fans have been arriving to drive or watch the NASCAR races on Daytona International Speedway. 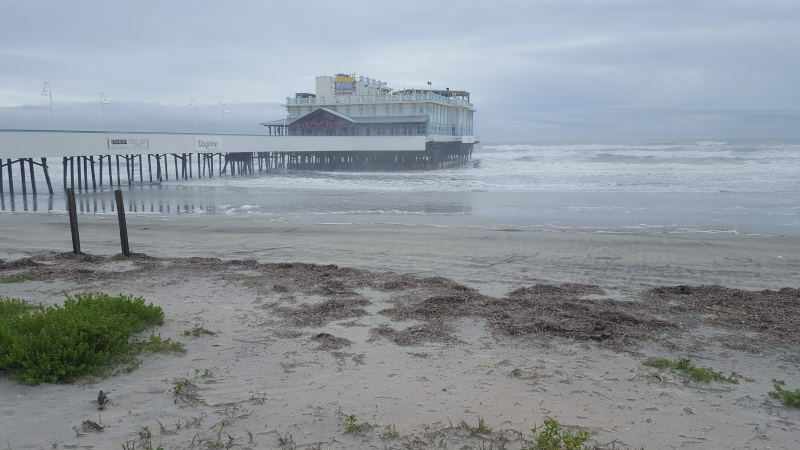 It is worthy to take a walk down to the beach and watch might waves roll towards the shore before the rain storm takes over. The wet road goes south again and by the time the rain gives in and the sun starts drying off (very fast and effectively!) 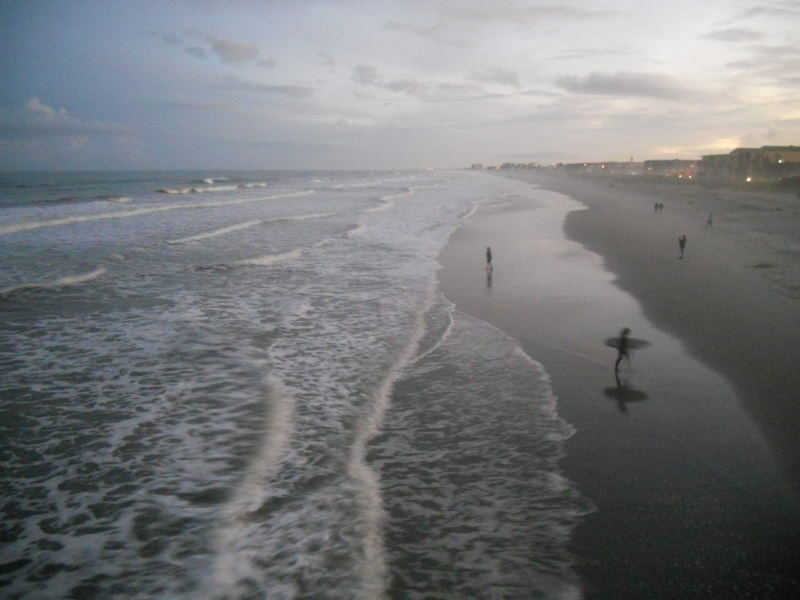 everything beneath, there comes the next stop: Cocoa Beach, place for surfers and cruisers. Back in 70-ties, people used to stand here and watch NASA firing rockets in the sky from the neighbouring Capa Canaveral. So do not connect NASA space programmes only with deserts – Florida proves that beach, sand and ocean are also closely connected to space exploration! In Cocoa Beach there is a famous Ron Jon surf shop, where people can equip themselves from top of the head and hair to the little toe. It is enough just to drop by and go through one of the floors – feels like a visit to a surf museum. Close to Coco, on a Merritt Island there are cosy houses and yards, tucked in vegetation and there is lots of space for all typr of commuters – bicycles, roller blades, cars, motorbikes, baby vagons – you name it! The area is actually peninsula now, after a pathway for NASA`s vehicles was built and connected the island to the rest of land. And on the neighbouring beach, the waves are huge and strong and someone left a note: “If you can surf here, you can surf anywhere!” Very popular with surfers – it is not easy to swim here. Harsh and – beautiful. At some point a reminder will arrive not to forget the details of the flight back home. Yes, the feeling of sadness for leaving the new friendly territory is creeping under skin once more – but there is no alternative. In order to experience new adventures, people have to round up those that are still in action. However, there is a day or two left, just enough for something completely different. 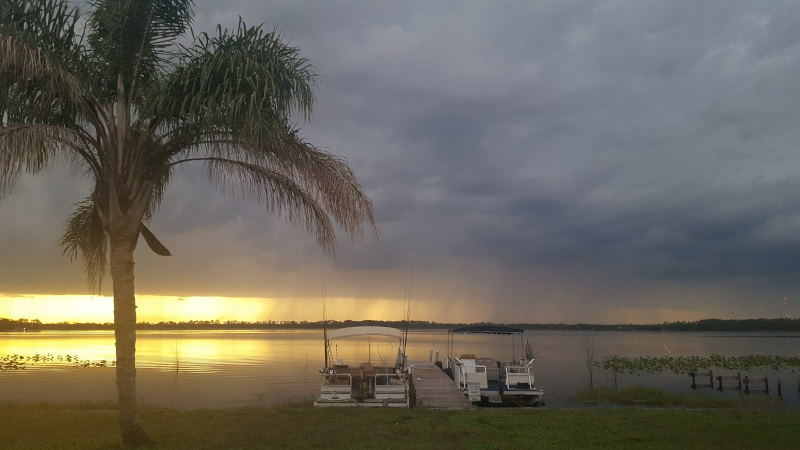 Sebring, in the middle of agricultural lands, owned by the Seminole Indian tribes, is a place for a good rest, when travellers have had enough of partying, sufring and crowds. But again – and here comes the contrast! 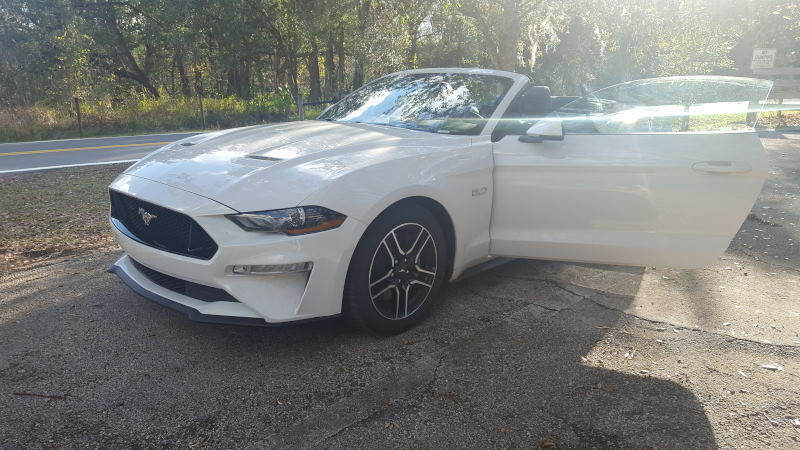 – those that had enough of surrounding peace and quiet, can come and get thrill from car racing nearby or even checking the slot machines and tables at Seminole Brighton Casino, that the natives opened back in 90-ties! Right there, in the middle of the field (well, huge field), once you pass that country road and bridge, and the village cottages and cows/horses eating grass… Some of the Seminole`s households sell handmade artifacts inspired by Indian culture and it is not unusual to even spot a totem or two in front of their houses. Lake Placid, “Town of Murals”, is also not far – once one enters this settlement, numerous houses by the road will start telling stories through their 40 famous colourful, detailed murals. There are religious, historical and everyday life motifs, showing cows and farmers in the field, nature and wildlife scenes, old Lake Placid when telephone and train arrived to town and portraits of famous citizens. 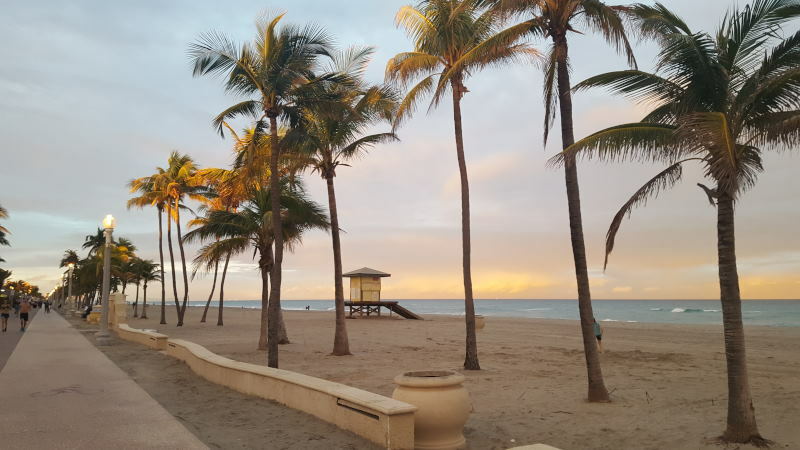 After a short stop in the rural area, it is time to head to the metropola again – Ft. Lauderdale, a beautiful coastal city, something like a “small Miami”, offers its long beach promenade, fresh water for swimming and long, warm evenings with live music and those unavoidable giant cocktails. Times goes fast, but memories remain (hopefully forever!) and it is time to say good bye to the dear, (for a short time your own) cabriolet that took you to Kissimmee, Disney, KSC, Melbourne Village, Delray Beach, Miami Beach, Miami, Key West, Everglades, Naples, Fort Myers Beach, San Carlos Island, Tampa (Heights), Sunshine Skyway Bridge Madeira Beach St. Petersburg, St. Augustine, Daytona Beach, Cocoa Beach – Merritt Island, Sebring+Lake Placid and now Ft. Lauderdale. See you next time, Florida!